16 reviews Most guests find this Hotel as excellent(9,5 over 10). San Carlos de Bariloche, Argentina. Among others, the Charming Luxury Lodge San Carlos de Bariloche offers the following services: Room Service, Hair Dryer and DVD Player. 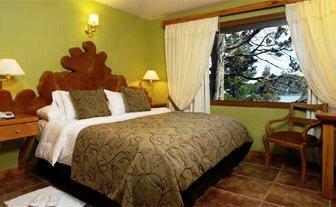 The Charming Luxury Lodge San Carlos de Bariloche is a 5 star Hotel. 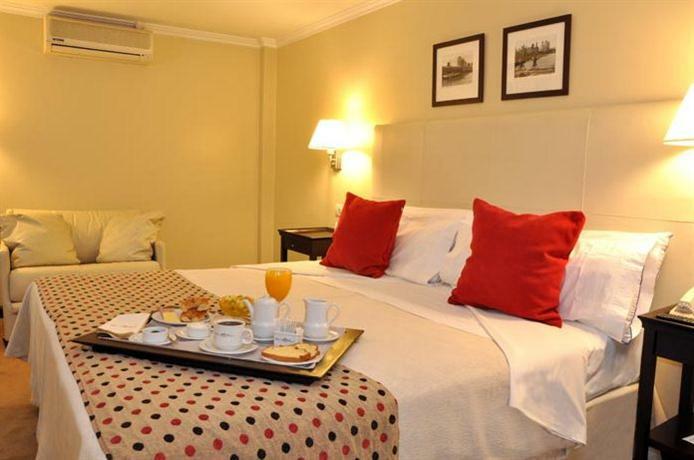 The rooms quality and dinning service are excellent, this Hotel is close to Cathedral, Campanario Hill, Otto Hill Lifts, and other sights to see. Additionally the news-stand of the hotel offers magazines, souvenirs and much more, on the other hand, guests who like tennis can enjoy of playing this sport at excellent tennis courts at the hotel. Not only the gym features the best equipment and personal trainers, moreover the hotel provides a free airport shuttle service to all its guests. Enjoy the exquisite dishes while contemplating the imposing panoramic countryside of Lake Nahuel Huapi. Experience the classic flavors of Patagonia, homemade pastas, fresh-baked breads and the most tempting desserts. Charming Luxury Lodge & Private Spa is ideally situated high on a bluff over Playa Bonita on the shores of Lake Nahuel Huapi and offers guests an unparalleled panoramic view of the lake and mountains of Patagonia year-round, while only 7 km from downtown Bariloche and 12 km from Cerro Catedral. We guarantee the lowest online rate!